It wasn’t until I became a mom that I realized how much mom’s do. I wouldn’t be the parent I am today without the guidance and support of my mother. I try my best to treat my mom all year long but I do like to go the extra mile and get her something special on Mother’s Day. This year, Indigo did not disappoint in their selection of gifts for Mother’s Day. Buying mom a bestseller is a great way to show your love! 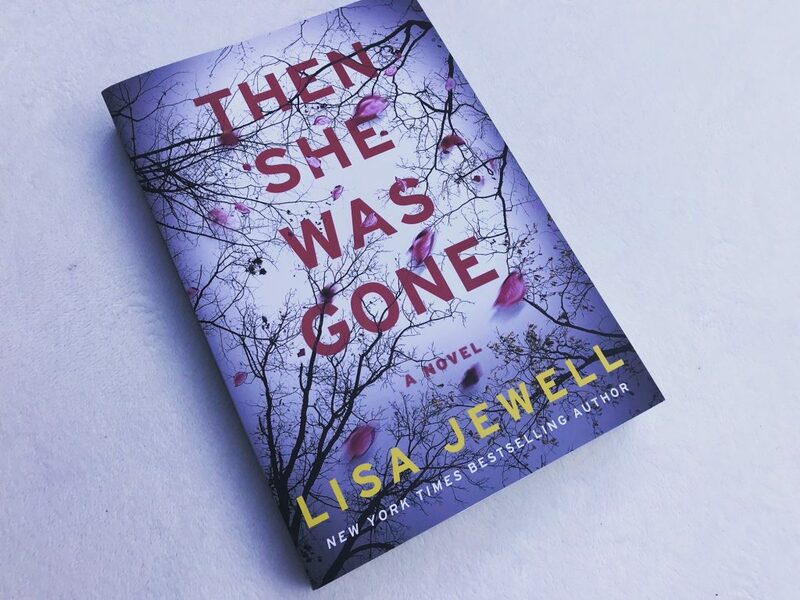 I started reading “Then She Was Gone” by Lisa Jewell the moment I received it. I can tell you, it’s a page-turner! This book is about a mother’s search for her missing daughter. It’s a gripping story with great characters. Spring is the perfect time to pull out flower patterns in your wardrobe. I absolutely love this Vivianne Floral pleaded scarf from Indigo. I think this scarf makes a perfect gift for any mom! This beautiful soy-blend wax candle features pure essential oils. The candle has three rose quartz energy crystals embedded in the candle. It has a lovely scent of fresh rose petals, sparkling white grapefruit, soothing lavender and kaffir lime. The candle comes in a muslin bag and has a burn time of 45-50 hours. Doesn’t everyone love getting cozy after work and relax with a good book? I know I do! Indigo’s basket knit reading booties are so soft and cozy. They are perfect for any mom that wants to wind down after work. These basket knit reading booties come in blush and navy. I always love Indigo mug designs. 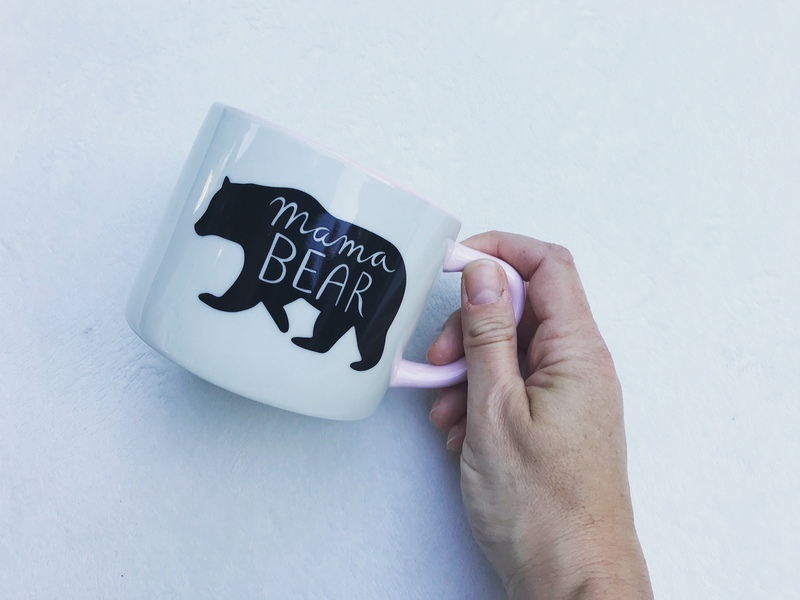 This Mama Bear mug is a perfect gift for Mother’s day. It’s dishwasher and microwave safe and is priced right! All these great gift ideas are available in all Chapter and Indigo stores near you. You can also purchase them on the Indigo website (and select express shipping!) to get it to mom on time for Mother’s Day. We want you to treat mom (who are we kidding… treat you too!) this Mother’s Day! Indigo is giving one of my lucky readers a $50 GC to use in store on online. To enter, check out the Mother’s Day boutique on the Indigo website and tell me one thing you’d love to get, then fill out the Rafflecopter form below. Leaving a comment is a mandatory entry. Giveaway open to Canadians. Giveaway runs from May 8 to May 19, 2018. Void where prohibited. See my Terms & Conditions for full giveaway info. Winner has 48hrs to claim their prize. Winner will be contacted by email. I like the Mama Bear mug. Im obsessed with the mama bear mug, would love it!!! I would like the Benefit Blush Bar ‘CHEEKS ON POINTE’ Blush & Bronzer Palette! Because I love to read, I would love to get a new book. I also love flowers. Refill Tassel Zip Journal – Floral, Best Mom is my choice for me. The Mama Bear Mug. My sister and I always use to call my mom that. Need the Mama bear mug! From the Mother’s Day boutique I would enjoy the JASMINE BAG WITH MARBLE TASSEL — DUSTY PINK. What a great variety Indigo offers! I like the mama bear cup. Love the mama bear mug. I would like the book or mama bear mug. I love the booties! So cute and cozy. I would love the mother bear mug! I would get the outdoor blanket- bandana pattern. We need a good picnic/beach blanket for the summer! This one is gorgeous! A gift everyone in my family would use…that’s my mom-style! I would love the mama bear coffee mug this mom loves her coffee! I’d love the fitbit versa, i didn’t even know they carried them there. Would love a tea set. The Mama Bear Mug would be perfect. I would love the candle, I love the rose quartz energy crystals that is in it as well!! I would like the Vivianne Floral Pleaded Scarf. Oh… always looking for new books to read– I’d like to check out the book you featured! I would love the outdoor blanket! Perfect for picnic season. Id love to try the BRIGHTEN PINEAPPLE + GEMSTONE MASK. Recently been trying to improve my skincare routine! I like the OLIVIA COLOUR BLOCK WRISLET – PINK MULTI. I would like to get the Auria Crystal Candle. 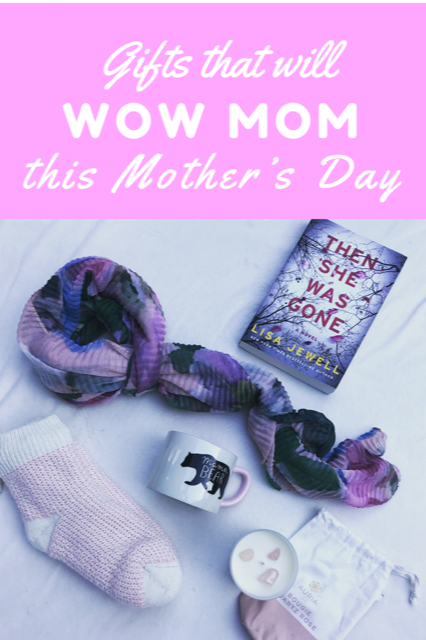 My mum is a voracious reader, so I’d love to gift her the “Then She Was Gone” novel! As for myself, I’d like to indulge myself with the Fitbit Versa! I really think the Vivienne floral pillow cover is beautiful and would look so great on the couch. I love the floral scarf. It’s so pretty and looks so comfy. The Mama bear mug is so me…………watching my cubs. I would love the mama bear mug! I really like the Garden FLoral Mug Set, lovely colours. I love the Mama Bear bug. Definitely protective of my little cubs. by Herbivore Botanicals} This would be lovely for a little pampering! I like Circe by Madeline Miller. It’s a great choice for Mother’s Day. Would love the Fitbit Versa! So many nice things! I really love the Garden Floral Mug Set. I’m going to pick up a copy of Then She Was Gone too. My sister is a first time mom end of may and she will love this! The Mama Bear Mug is so cute! The Mama Bear Mug is adorable!! I have to get a mama bear mug for my mom! But I want the bootie socks. I have the longer reading ones and these look cozy too. FITBIT VERSA SMARTWATCH – ROSE GOLD is my favourite item!! I really like the Mama bear cup. It is quite unique. I would love the Voluspa Macaron Candle Gift Set . I am in love with the MAMA BIRD MUG. 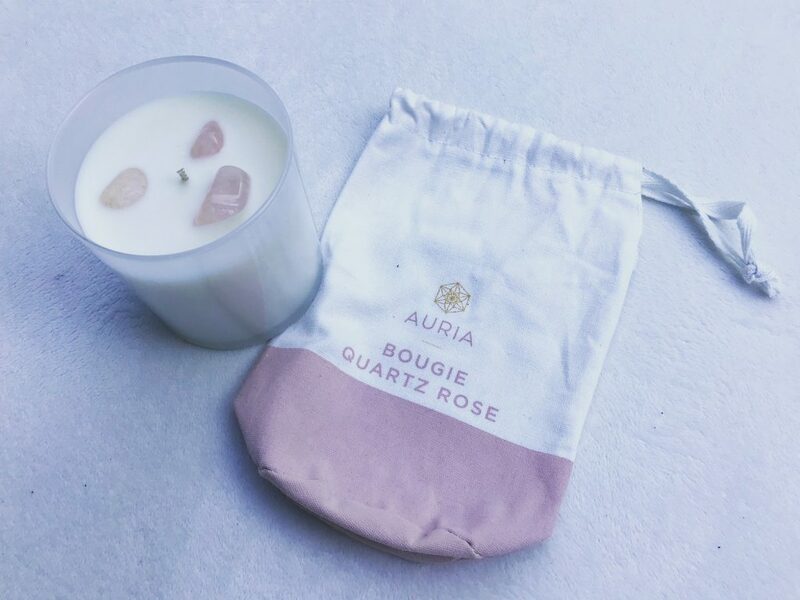 I think I would love the Auria Crystal Candle. I would love the OUTDOOR BLANKET – BANDANA. I would love to have the GARDEN FLORAL MUG SET for my nightly cup of tea. I would most like the Auria Crystal Candle. I’d love the BODUM® CHAMBORD 34-OZ. FRENCH COFFEE PRESS in COPPER. I would love to give my mom that beautiful scarf, and a candle, and a good book! the Voluspa votive candle gift set (or anything really) – love the candles and mugs and notebooks too !! Can never go wrong with a gift from Indigo! KOBO AURA H2O EDITION 2 would be an amazing gift. My choice is the STEMLESS WINE GLASS – MOM FUEL. Oh I like the PICNIC MELAMINE BOWLS! 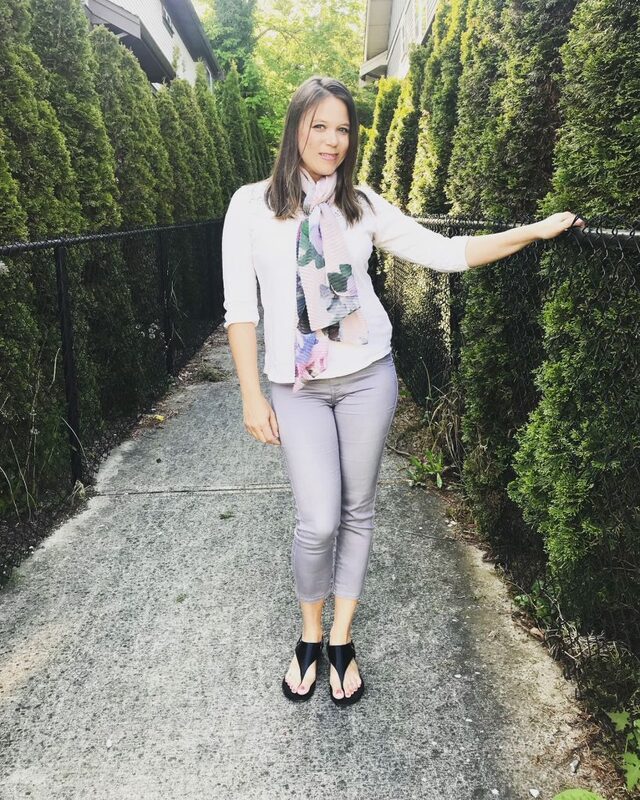 I like most from the Mother’s Day boutique at Indigo is the Vivianne Floral Pleaded Scarf. 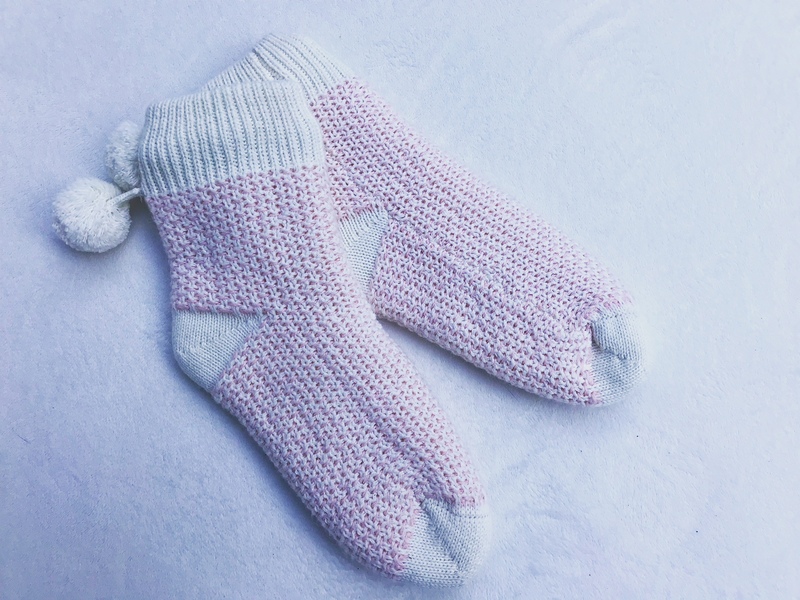 I would love to receive the basket knit reading booties as I love getting cozy and my cozy socks are falling apart. I would love some books or candles. I would love some good books. I totally love the peonies pillow, the rose gold diffuser and some good books! It would have to be the knit booties. My wife always has cold feet. I like the Lydia tote in blush. I’d get a nice book! My mom loves to read before bed. The book for me! Always looking for new reading material. Though the socks are a close contender. I would like the Kobo Aura H2O Edition 2 . This would be great for the trailer! I would love the Canadian outdoor blanket. I would like the lotus ultrasonic diffuser. I would love the Little Mermaid and other fairy tales book !! Love everything but I really want the book , Every Note Played ! Books make the best gifts ! I love love love the mama bear mug! Any of these gifts would be great. Books are always a great gift for me. Quilting Books, cookbooks and suspense or a good Christian book. What I would like most from the Mother’s Day boutique at Indigo is the READING ROBE – SOFT PINK – MEDIUM. I love the reading robe, it’s looks comfy but light! I love the Mama bear mug. I would love some books. I love reading! Fitbit smart watch or the mama bear mug! I would love the Saddle Crossbody Bag – very cool looking! I love the French Press! The tote is awesome too! I’d get a cute new mug. I would like the Mother’s Day Tote in Ivory Floral for my mom. I like the reading booties. My feet are always cold. Saddle Crossbody – Country Fair Always can use a new purse. I would love the GLASS TEA TUMBLER WITH STAINLESS INFUSER – FLOWERS, so pretty! I would like to give my mom the Auria Crystal Candle. So many incredible choices there! I love the garden floral mug set! I love everything! The mama bear mug would be perfect for me!!! I would love a Ruth Ware book collection for my summer reading. I love the Garden Floral Mug Set to sit outside and enjoy the summer. I’d love to receive the book Every Note Played by Lisa Genova- it sounds like a great read! I love ALL the book suggestions. I usually like the books they recommend. I laughed when I saw the Mama Bear mug! My daughter is grown and I’m surprised sometimes that the Mama Bear still comes out in me! I’d love a new fitbit! I like the OUTDOOR BLANKET – BANDANA most. It looks cute and would be so convenient to carry with me. I’d choose a Bodum french press or upgrade my Fitbit as my fav pics for mom! I like the GARDEN FLORAL MUG SET. I think the OLIVIA COLOUR BLOCK WRISLET – is so cute. It’s like a wallet with a little strap. I really like it. I would like the Ultrasonic Diffuser. I’d be very happy to bring home a google home device for mother’s day! Such awesome things. I would love to get the basket knit reading booties, the Flora candle, and the book Magnolia Table for my mom! I really love the Mama Bear Mug, Vivianne Floral Pleaded Scarf, & Basket Knit Reading Bootie, they’re all terrific! I think my wife would love the reading robe! I’d love a great journal or one of the Kate Spade travel mug for Mother’s Day. Simple tea mug with infuser! Plus a good book for a rainy day! I would love the book and the socks. 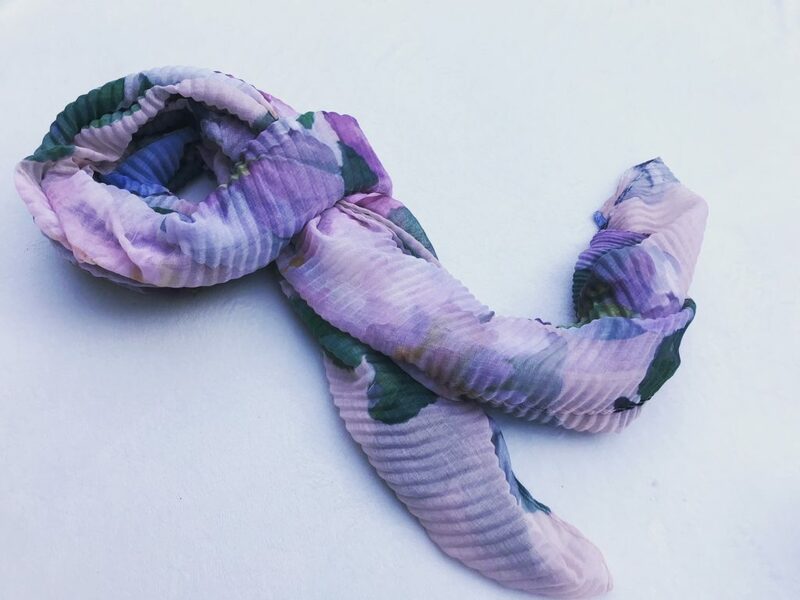 The Vivianne Floral pleaded scarf! Great ideas! I surprised myself but loved my the look of this OLIVIA COLOUR BLOCK WRISLET – PINK – I usually go for mugs! I really like the Kobo Aura H2O Edition 2 because it would be great for my mom! I would buy a book for my mother. She loves to read. I just love the Vivianne Floral Pleaded Scarf!!! Thanks! I would love to get a good book for Mothers Day. I have been hoping for “The Rooster Bar” by John Grisham. It sounds so good. Out of the two it is a hard decision but I would take indigo. Old book worm. Sorry I would love the book. All of these gifts look amazing! 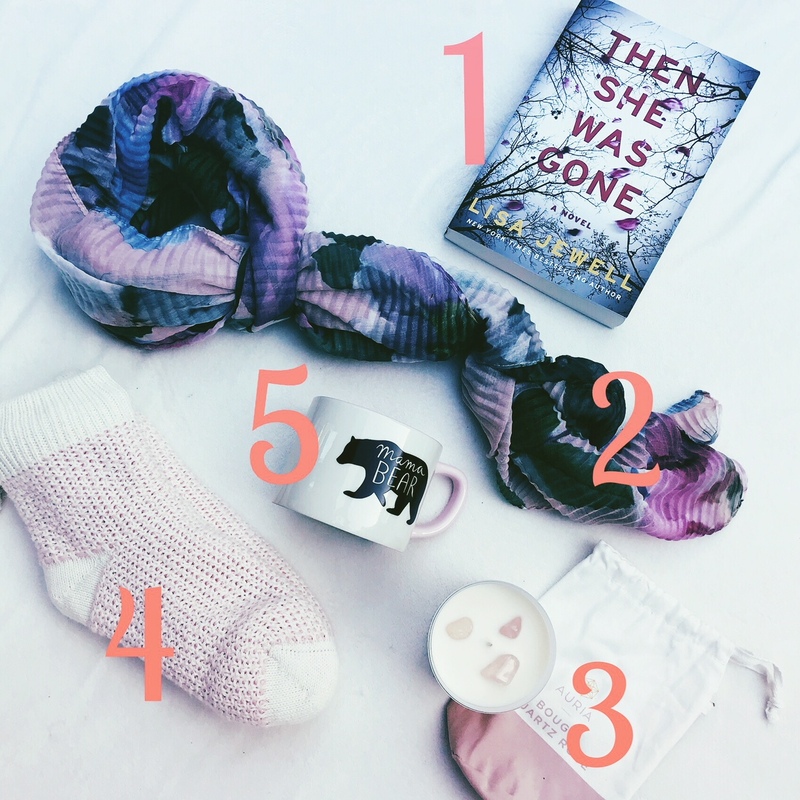 I am most excited about reading ”Then she was gone’ It looks like a good book 🙂 Thank you for the awesome giveaway! I like the journals and planners. I would most like the Fitbit Alta HR, which is shown in Pink Rose Gold in the boutique but I’d actually really love the Coral colour – it’s such a fun, bright colour for spring! I still need a Fitbit. It’s on my wishlist too! Any of the book picks look interesting! This is such a cute box. Great choice! STEMLESS WINE GLASS – MOM FUEL these are awesome! Something different and unique but still geared to moms.